ODOO ERP CONSULTNG / IMPLEMENTATION SERVICES | Synconics Technologies Pvt. Ltd.
implementation time and reduce risk. We (Synconics Technologies Pvt. Ltd.) are Official Odoo partner company based in Ahmedabad, Gujarat, India, experts in implementing ERP products especially using ODOO Technology (formerly known as OpenERP) in a cost effective manner to ensure that Total Cost of Ownership including software & hardware is comparatively low. ERP selections requires the alignment of people, processes and technology to ensure that your organization is selecting the digital solutions that integrates into your culture and supports your strategic vision within a targeted budget. The initiation of ERP selection can feel intimidate with the large number of stakeholders that will influence the final decision. 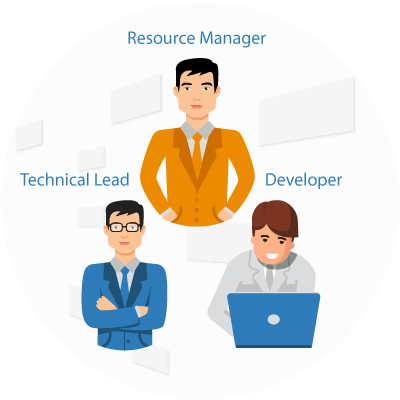 Synconics team will walk you through a step-by-step methodology to enable your organization to make the right cultural, financial and strategic decisions within your budget, when selecting new technology and choose between, one time software implementation cost or software with annual subscription cost user wise. Synconics team will understand your culture and the crucial points of your existing systems. We will build a custom plan for streamlining your business processes by determining the level of change your organization can absorb. 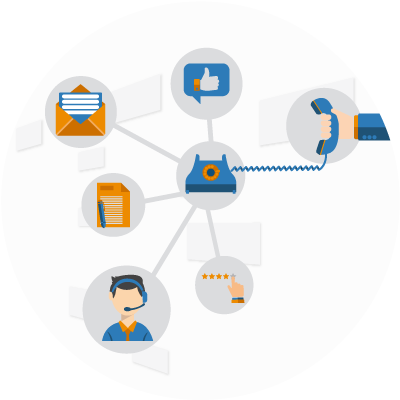 We help you to select the technology that will enable an optimal customer experience. Adopting right deployment strategies our success has been proven with hundreds of Odoo ERP installations and implementations throughout the world. We are exclusively focused on implementing the best ERP solutions to the mid-market. Embarking on installation best practice our team will analyze the whole scope of IT infrastructure, budget, user logins and any other untold or unfold factor with a view to set the best suitable Odoo ERP system at your end. Understanding the business process we assist in the selection of Odoo ERP version and editions (Online, Enterprise, Community) along with hosting options like SaaS (Odoo online), Dedicated or Public Cloud, or on premises. We also assist how users will connect to the ERP – via VPN or over a public IP address - we can bind IP address with domain/sub-domain as well. As the system is browser based we advise for minimal hardware but with a high speed. If required we can also install Https and SSL certificates which provide secure, encrypted communications between a website and an internet browser. Consequently, any ERP system now offers numerous functionalities, which overwhelm most of the enterprises, during project implementation. Synconics will help you to pick up relevant modules of Odoo ERP and Configure them to suit the needs of your business. From scalable point of view it is essential to ensure ease-of-use as well as flexibility to adapt to changes as your business grows. It is imperative we know the differences between the ERP software’s functionality and the unique requirements of the end users from business process perspective. Hence we begin by helping you understand the difference between Odoo ERP customization and normal Odoo ERP package configuration. In order to determine the level of customization which your company might require, it really depends on business workflow processes, management’s/users’ needs and the key objectives which you want to achieve. 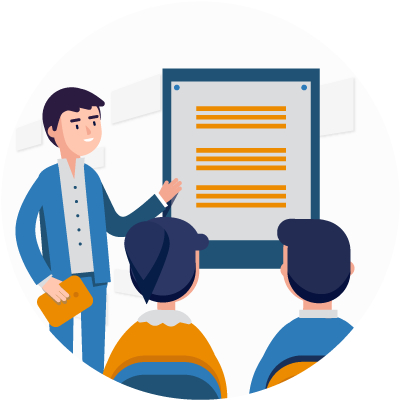 Team Synconics has a strong development background, accompanied with strong business analysis skills gained by employing business process optimization in various industry verticals. Banking on these expertise Synconics minimizes the complexity and risk of Odoo ERP customization and deliver within budget & timeframe. We also understand the importance of retaining your Odoo ERP for future upgrades. 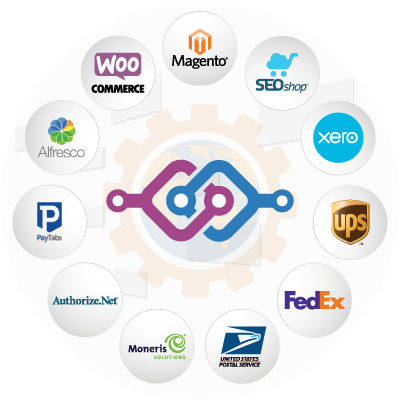 Modules are a vital part of Odoo ERP and offer an immense flexibility and scalability to the Industry. Whether back-end or front-end, each and every action takes place through Odoo ERP modules. Today, you can find thousands of Odoo ERP modules over the web that can help you to enhance the performance and functionality of your organization. Yes, it’s a fact! Among the free/paid available Odoo ERP modules, sometimes it becomes almost impossible to find a single module that can help you to fulfill all your ERP needs without any technical glitches. Are you tired-off searching for the Odoo ERP module of your choice? Feeling tired using those readily available modules? Feeling exhausted? Let ask Synconics to develop the custom Odoo ERP Modules and take your business to the next level! Packaged ERP applications support a variety of business functions. An ERP system primary purpose is to automate business processes in order to increase business efficiency and provide better visibility. One primary requirement of companies is to integrate their ERP system with their other enterprise systems to meet growing business demands. ERP implementations commonly span a few years and what starts as a few functional modules, often grow into a primary ERP system with a number of stand-alone applications on the side. Enterprises need to find a new way to implement ERP systems that enable them to integrate isolated applications and provide a united application architecture. 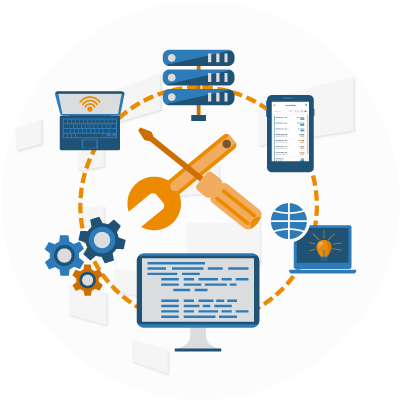 Synconics ERP integration services consist of data integration services, enterprise applications-API integration services (Like Payment Gateways, E-Commerce Platforms, Shipping, Social Networks etc) and systems integration services. Businesses are on a global race to dominate their industries, acquire customers and increase revenue. To achieve these goals, they should operate in modernized and efficient IT systems. Synconics understands the need for change and will help you upgrade your systems or applications in order to benefit your business by optimizing the right mix of existing (Application Management) vs. new Odoo ERP Internet-driven technologies (Migration, Enhancements). Reuse and modernize your time-tested business applications to newer technologies and strategic platforms with Synconics ERP Migration/upgradation Services. 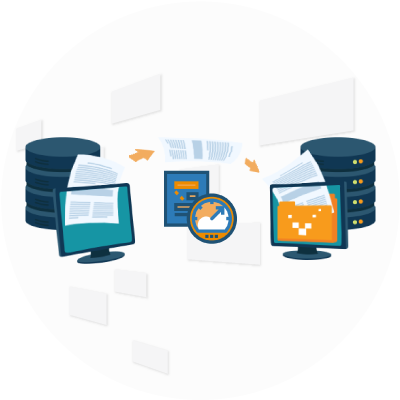 A migration or upgrade project is efficient, effective and economical when it goes through Synconics Migration Service. 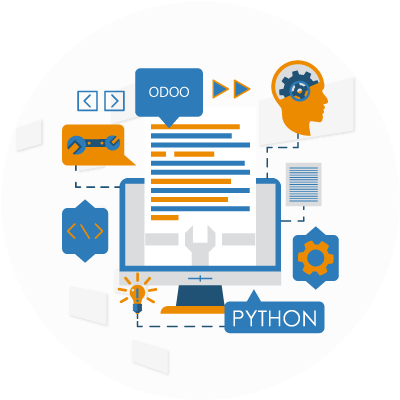 Synconics is a pool of skilled, talented, experienced and detail-oriented software developers and provide our clients with dedicated, experienced specialists to help them achieve their short term and long term development objectives. Synconics has made Odoo ERP implementation, development and support, a key component of its staffing delivery model – we have ability to provide you technical and functional Odoo ERP dedicated resource who work remotely in our premise or as per requirement can deliver Odoo ERP resources anywhere in the US, UK, Canada and beyond. Odoo ERP training is dedicated to Odoo partners, ERP consultants and end users who want to get better functional and technical understanding of Odoo. The ROI for an ERP investment is only realized when an organization fully understands and utilizes the new system. 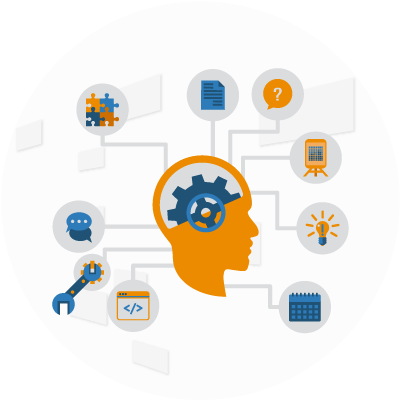 ERP education for IT and business users is vital to ensuring an organization possesses the right knowledge, skills, abilities and resources to maximize adoption of an ERP system. 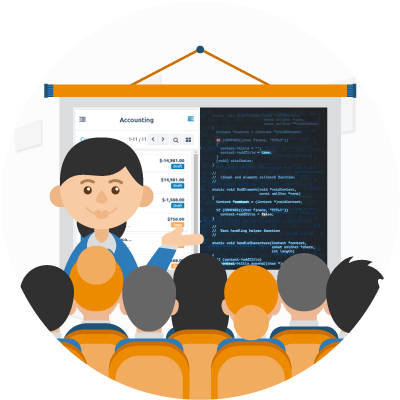 To drive user adoption and deliver measurable results, Synconics Training and Education Services are engineered to be an integrated component of your ERP implementation. Odoo Functional training at Synconics aims to provide you best understanding of Odoo framework and usability of the software. This course is for people who are in charge of the Odoo development at their company, or wish to code in Odoo. As a developer, this course aims to make you autonomous on the development of new modules, while helping you to better understand the architecture of the Odoo solution. After completing this training, developers will be able to create and edit Odoo modules, understand how Odoo ORM and API operate, expand and add views. Understand the development concepts and architecture. Able to customize existing modules. Develop a new Odoo module. Integrate any third-party tool to Odoo. Deploy Odoo for production with right server configurations. These Services can be packaged with several payments plans ranging from simple Time and Materials contracts, to a variety of subscription arrangements. 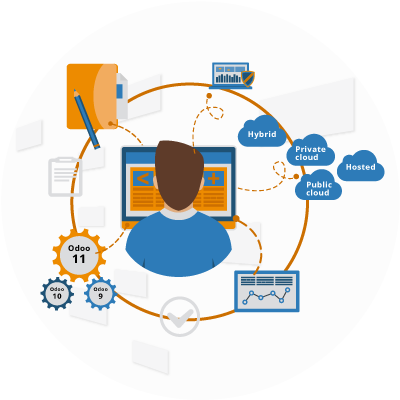 We will help optimize both your business processes and system so you can make use of the full solution capabilities.